It’s Monday again, but I have a delicious recipe for you! I hope you don’t mind another stir fry recipe, but I’m in love with them lately! 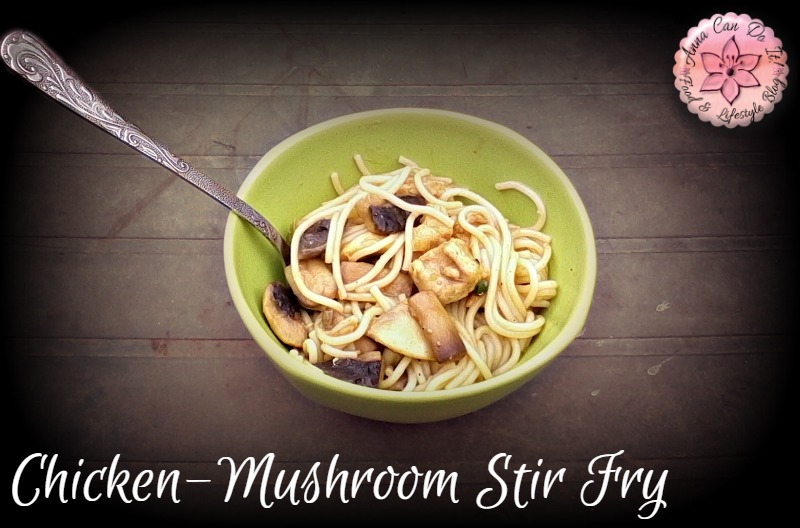 The Chicken-Mushroom Stir Fry is a quick, healthy and diabetic recipe, 1 serving contains 34 g carb, but it includes the noodle too! So here we go! It’s a quick, healthy and diabetic recipe, 1 serving contains 34 g carb, but it includes the noodle too! Peel the mushrooms and the onion. Dice the onion, the chicken breast and cut into quarters the mushrooms. Pre heat a non-sticky pan/wok, add a little oil and caramelize the onions. Add the chicken breast to the pan and spice it. Stir it constantly. When the chicken breast turns white-ish, add the mushrooms and the water. Cook them for about 15-20 minutes. Serve the stir fry with the durum noodle, or the side-dish of your choice. Previous Post: « Why work outside is more effective?